Online slots are the most popular and beloved of all casino games. There are literally thousands to choose from, and software developers are always looking to surprise players with innovative designs and rewarding game-play. It’s only logical that music is one of the greatest inspirations behind the creation of slots games, and that’s why developers came up with various titles that mingle two of the most appreciated things in the world: gambling and music. Music is a vast genre and game developers have an immense amount of material to work with, enabling them to provide some music related slots to online casinos that are pretty good. First of all, there are slots that use music as their background inspiration, creating a narrative around some musical aspect or type. For example, Microgaming has a fun slot called “Karaoke Party,” where players can sing along in a karaoke bar, while cashing in some good luck. Players can also find a wide range of styles like dance music or even Mariachi themed slots, but when it comes to music genres, Rock n’ Roll really hits the top. NetEnt developed an online slot around Jimi Hendrix that pays the icon quite an impressive hommage. Using some of his most popular songs as background music and using Jimi’s face as one of the symbols of the game, the slot takes players back to the 60s and is really popular. 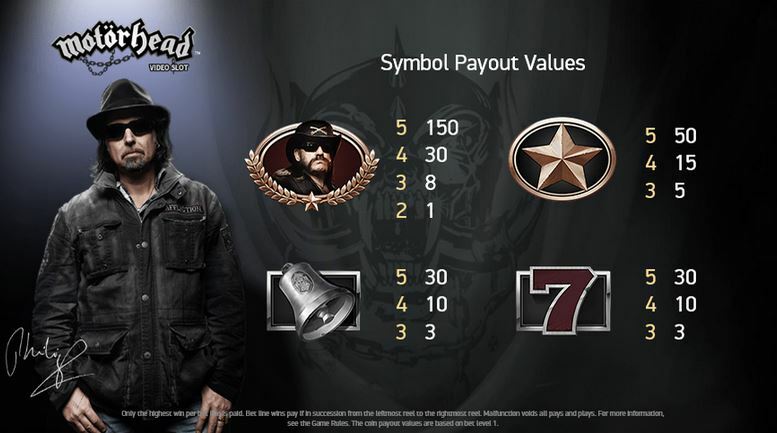 Motörhead also have a namesake in the online slot world, with a game also developed by the Swedish manufacturer that keenly, and quite appropriately, included the hit “Ace of Spades” to the gameplay. Megadeth and Guns N’ Roses also saw their names associated with casino fun with two games that perfectly merge both worlds. NetEnt’s Guns N’ Roses slot quickly became a seminal title. Players worldwide won’t find it hard to find a game that matches their musical taste.